Blockout Band Banners and Backdrops which let no light through. 260gsm flexible fabric with a non-reflective finish. Water repellent. The black resin backing prevents light show-through from the rear. Printed using dye-sublimation technology, colours are deep, vivid and vibrant, lasting for years. Printed to a maximum width of 3.1m, larger backdrops will include a seam. 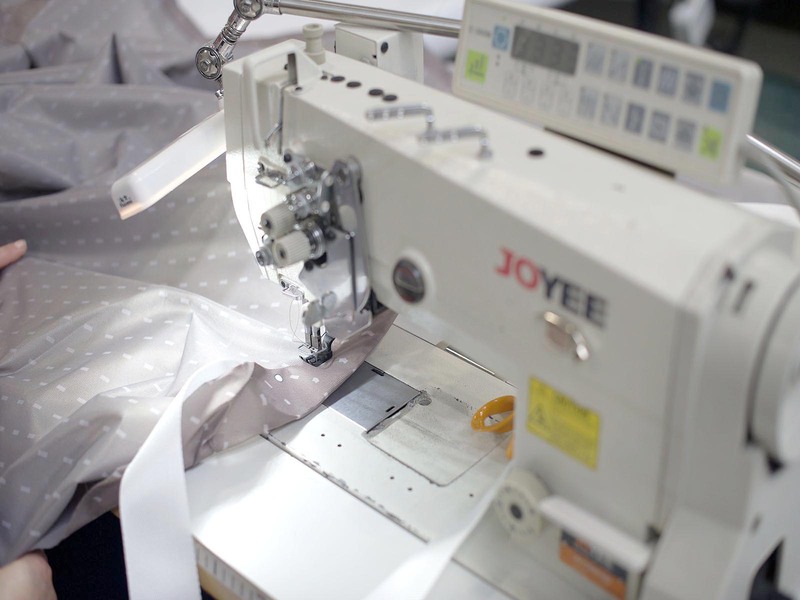 Edges are all stitch hemmed and we use special plastic eyelets to avoid damaging the fabric. Finishing to your specification is included in the price. Printed using dye-sublimation technology, colours are deep, vivid and vibrant, lasting for years. The material can be folded and packed away small, making it easy to store and transport. Why Choose a Blockout Band Backdrop? Blockout backdrops are ideal if you require no light show-through from behind your banner. The back of this material is a black latex resin which prevents light showing through. Ideal if your backdrop is in front of strong lighting or erected against a window. Also used where existing graphics need covering up, or where framework needs hiding. We print from your artwork – this can be your band logo or other design including photographic or illustrated backgrounds. Thousands of high resolution backdrop themes and ideas are available from image banks such as the Adobe Stock Library for very little cost. If you are unable to produce print-ready artwork, don’t worry – just email us with a design brief and we will lay out your backdrop for you. Ideal for band banners, band scrims, stage backdrops, exhibition displays, theatre backdrops, podium backdrops and point of sale displays. We print these using dye-sublimation technology to provide eye-popping vibrant colours and photo-quality images. 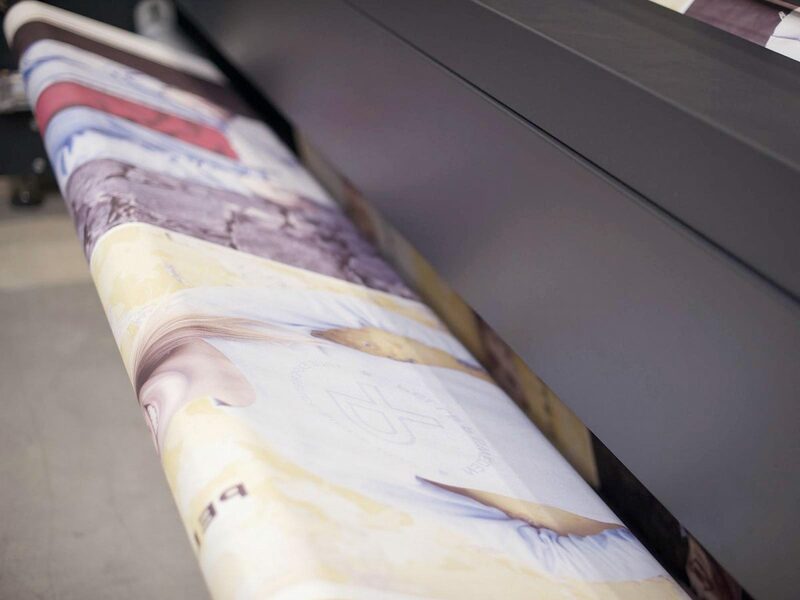 We print fabrics on rolls up to 3.2m wide to provide huge seamless panels. Larger banners on fabric are made from stitching panels together. Larger seamless banners can be printed on our UV machines at up to 5m wide on various materials. We can also make even cheaper band banners and stage scrims from standard PVC or Mesh banner material. Although these do save on initial cost, larger cheap band banners are more difficult to pack without creasing, take up more storage room and will not look as good for as long. We recently produced some 5m x 3.5m blockout fabric curtains for the 2018 BBC Get Inspired Awards, check the video here. Please set your artwork to the correct dimensions of your final printed band banner. 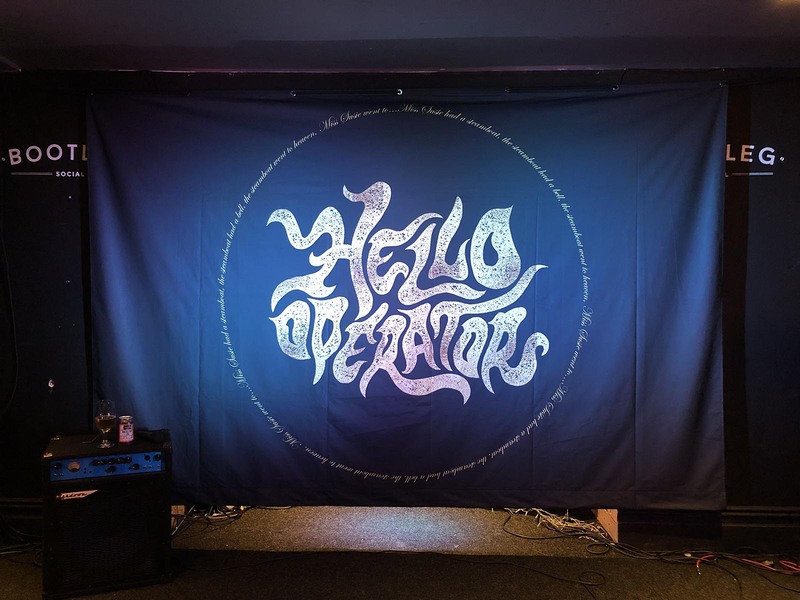 We do not require any bleed on the artwork for a printed backdrop. If necessary, you can set your artwork to scale. Please make sure that you set your colour settings to CMYK. 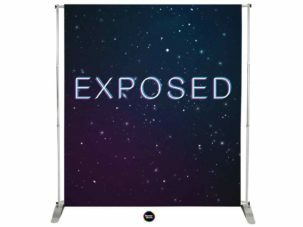 Our backdrop banner printers use a full colour dye-sublimation printing process which works using cyan, magenta, yellow and black inks. Files that are sent to use using an RGB setup will be changed automatically. Sometimes this can make the colours on your printed backdrop seem weak & washed out. We will check for this before printing and contact you if required. 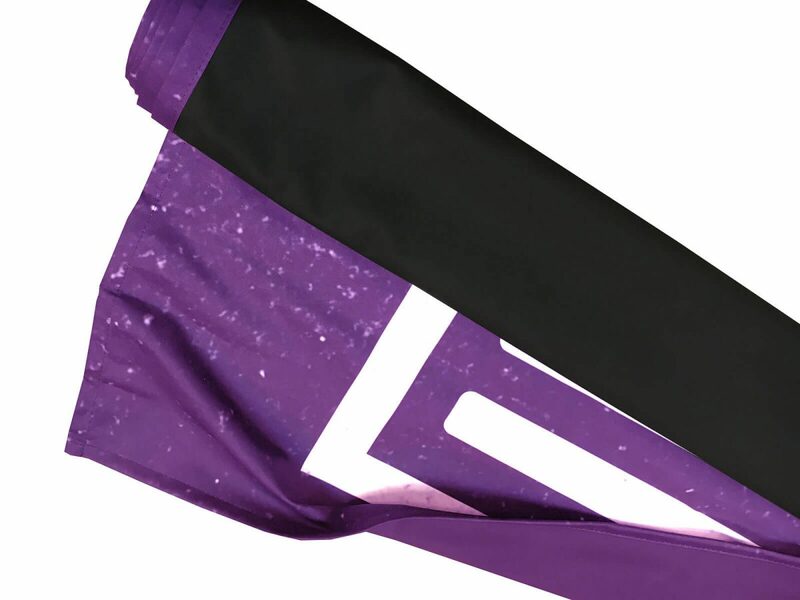 Please leave a clear area of approx 50mm inside the edge of the banner. Background colour / images are fine, just no important text elements, small print or logos as these can be obscured by the eyelets. Around our band banners we will add hem and eyelets unless otherwise stated. 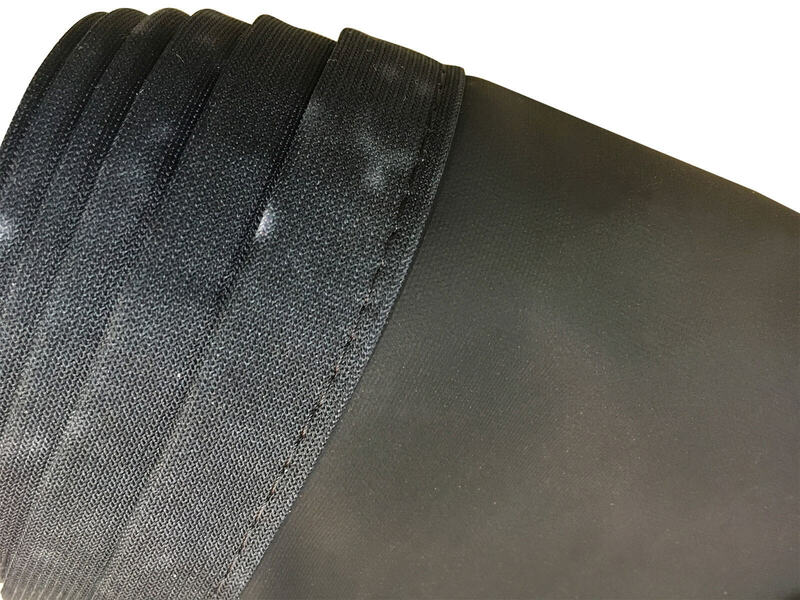 It is not advised to have just eyelets (without the hem) as this can cause the material to rip. We can finish your band banners with pole pockets if required. Please make sure when ordering / setting of your artwork that your artwork / finished file size is set to the finished overall size of the banner including the pole pockets. Standard scaffold tubes are a 150mm flat pocket size to fit comfortably with plenty of space as to not cause to much tension on the pocket seam. Please ensure that you leave a clear area at the top and the bottom of the banners to allow for the pockets. To explain – if your banner is 2m height please set to 2m height and then make sure that no text, logos and important info enters the top 150mm or bottom 150mm of the design area. Solid colour/ background images or patterns are fine just not text or vital information. 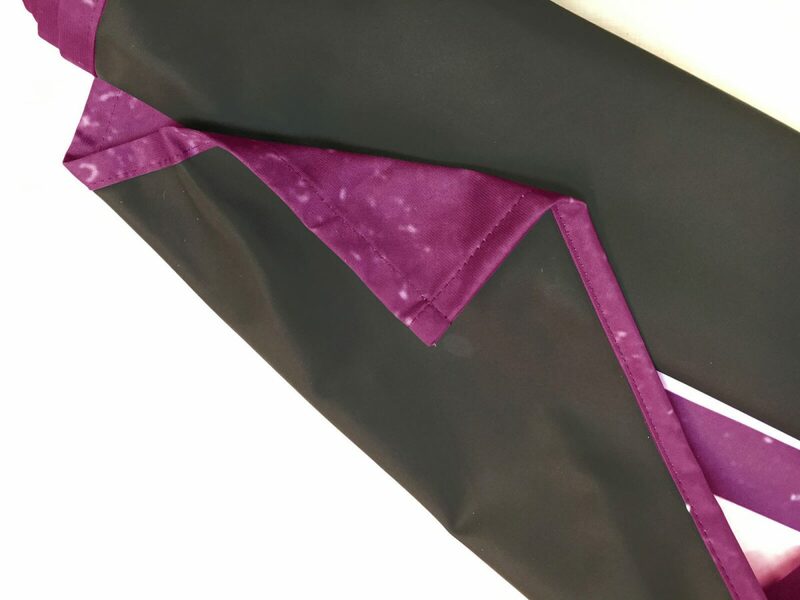 Check here for more information on pole pockets and how to design for them. 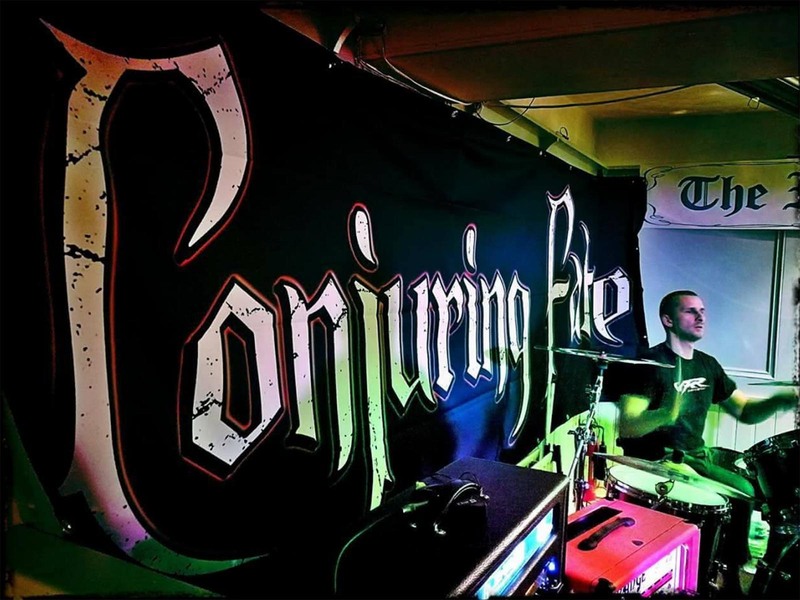 For band banner design it is always important to consider viewing distances. Always create your artwork to give the highest possible impact. Contrasting colours will give your banner much more clout than washed out subtle colours. Also think about text sizes. The larger the text the more it will be viewed from a distance. Use upper and lower fonts. Look at road signs as they are all in upper and lower type rather than all capitals. Subconsciously your eyes will read upper and lower (sentence case). Font type…. Normally clearer fonts work better than stripy unreadable fonts. 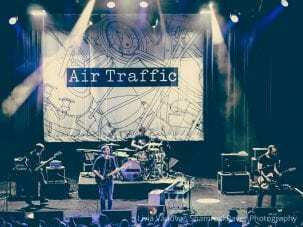 Look at the backdrops for the big performers – they often just display the band name. Less is more, cramming every little bit of information onto your band backdrop banner probably isn’t a good idea. Remember to use clear areas of space and give your design space to breathe. The best backdrops are always simple and straight to the point. Remember your average viewer needs to read your message in 3 seconds or less. Set 10mm bleed - Make sure that there is a free area all around of at least 50mm for hem and eyelets. Why do your blockout band banners cost so much less than others online? We have developed our own custom manufacturing process. 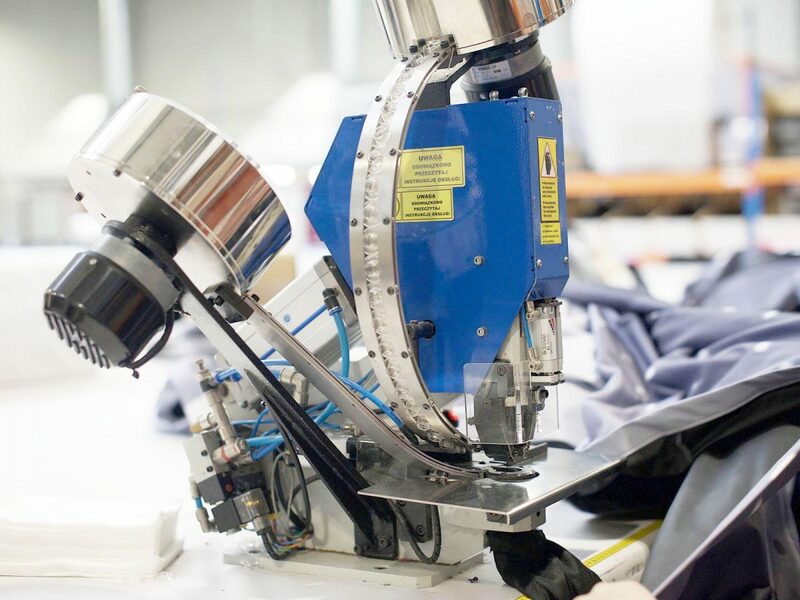 This process eliminates most of the manual production processes through automation. This means that we have reduced labour costs which in turn has vastly reduced the cost of each backdrop. This is how we can produce higher quality back drops at much lower costs than the competition. Will light show through my backdrop? No light will show through a block out back drop. Can I fold my backdrop? Yes, folding your backdrop for storage is fine. How are your backdrops printed? Our backdrops are printed using a CMYK dye sublimation print process. Click here to find out more about dye-sublimation printing. How do I store my backdrop? We recommend storing in a dark place which is clean and free of dust. Fold and store as you would a bed sheet. Your backdrop will last for years if looked after. As any fabric your backdrop can crease. You can iron out on a very low heat if required. If you need to iron, do so on the print side only not the black backing. Block out backdrops which are greater than 2.9m in one dimension will require a join. On larger backdrops the viewing distance is greater so a join is never very noticeable. Yes the material is waterproof and can be used outdoors if required. Please though make sure the backdrop is clean and dry before storing again. Shipping to the UK mainland costs £12 if your order is under £250. If your order is over £250 shipping will be free to UK mainland excluding Highlands ans Islands. Yes, we deliver throughout Europe and Worldwide. Please contact us for a delivery quotation before ordering from outside Europe. How do you hem or finish your backdrops? All our backdrops are professionally stitched for strength and durability. Edges without hem and eyelets will be stitched as standard to stop fraying. We use special plastic eyelets which won’t rust or effect the surface of your backdrop. Eyelets are generally spaced evenly approximately every 500mm. Do I need a pole pocket in my backdrop? Pole pockets are ideal if you need to run a cable through the top to hang the banner. A pole pocket can also be used at the bottom of the backdrop to weight it down by sliding through wooden dowels, scafffold pole, metal chain or similar. Is this backdrop fire rated? Yes. Our backdrops use fire rated material and conform with all EU/UK fire regulations. The fire certificate can be downloaded here.